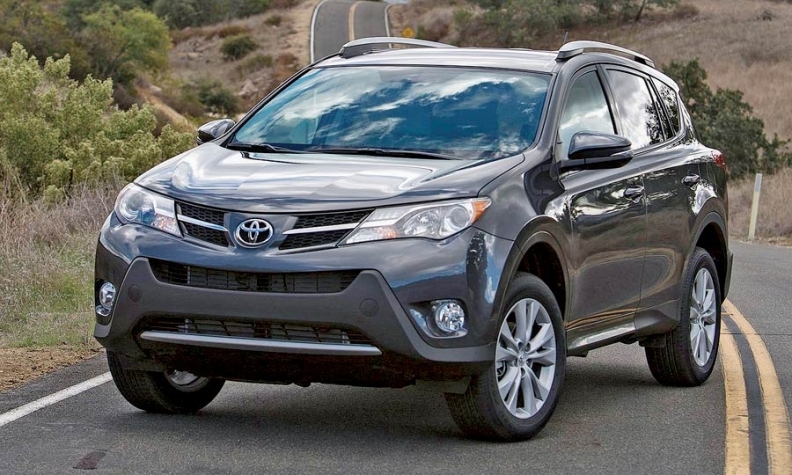 Toyota aims to make its RAV4 the top-selling compact crossover. Toyota has long been an also-ran in the compact crossover segment that was more or less created nearly two decades ago by the RAV4. But at Toyota Division's national dealer meeting in Atlanta, company executives said they want the RAV4 to become top dog among compact crossovers. The midterm sales target for the RAV4 is 250,000 units, which would be nearly 100,000 more than its traditional volume level. Bob Carter, senior vice president of automotive operations for Toyota Motor Sales U.S.A., told dealers that he expects sales this year to exceed 200,000, up from 171,877 last year. But the RAV4 likely will still trail the segment leaders, the Ford Escape and Honda CR-V. Through July of this year, Toyota has sold 120,812 RAV4s, compared with 178,969 Escapes and 172,989 CR-Vs.
"I am talking about future aspirations," Carter said in a phone interview. "Selling 250,000 RAVs is within the growth of that market, and the strength of the RAV puts it within the realm of possibility." He said 250,000 is "not a 2014 number at this time," mostly because Toyota is still securing additional production capacity. In North America, Toyota builds the RAV4 at its Woodstock, Ontario, plant, which has a 200,000-unit capacity, not counting overtime. But that capacity also has to serve both Canada and Mexico, meaning Toyota is importing a fair number of RAV4s from Japan. Through July of this year, Toyota has imported 41,390 units for sale in the United States.